METROMIRROR.COM EMERGES AS THE MOST READ AND PREFERRED NEWS PORTAL BRAND AS PER MEDIA SURVEY OF M C NATIONAL UNIV. OF JOURNALISM ON MEDIA HABITS OF THE BHOPALITES. Growing demand for homes in smaller cities of the country is attracting big national real estate players. Cities like Bhopal, Bhubaneswar, Coimbatore, Indore, Jaipur, Lucknow, Nagpur, Surat, Vadodara and Visakhapatnam are expected to add 354 million sq ft of residential development in the next three years. According to a research report by Crisil Research, large builders like DLF, Unitech, Parsvnath, Omaxe, Ansals and Emaar MGF have already diversified into these cities, with an eye on future growth. These cities today show huge potential for growth, with 2011-12 itself expected to generate sales of Rs 18,000 crore. These cities are attracting the big developers because of their considerable price stability and growth prospects. While prices of homes in large metros have seen a huge jump of 25-30% over the last two years, these tier-II cities have seen a moderate price increase of 10-12%. "These markets will offer stable and less volatile options for real estate developers to diversify," says Prasad Koparkar, head-industry and customised research at Crisil Research. The research, which covered over 500 developers across these cities, pointed out that even if there is a considerable price correction in the larger cities over the next few months, smaller cities will remain stable or at worst see a moderate decline in prices. In fact, the report by Crisil foresees prices rising in seven of the 10 smaller cities it has identified. In contrast, prices are likely to increase only in four of 10 large cities, it says. With economic activity picking up in these cities, there is a growing migration from smaller areas, which has created a shift towards an apartment culture. "This shift will aid volumes for larger developers in the future," says Koparkar. Looking at this new demand, banks and financial institutions too are looking towards these cities to bridge the financial penetration gap. At the moment, the proportion of buyers taking home loans is relatively lesser in these smaller cities. A gradual increase in penetration of home loans would also boost demand. The growth prospects in the smaller cities are attracting large developers with multi-city presence. "We had foreseen this demand in tier-II cities and are confident about their growth. The economic growth today is not just limited to the metros. Purchasing power, consumption and lifestyle changes have taken place in small cities as well. This cements our strategy of doing developments in tier-II cities," says Dinesh C Gupta, assistant vice-president (investor relations) at Ansal API. 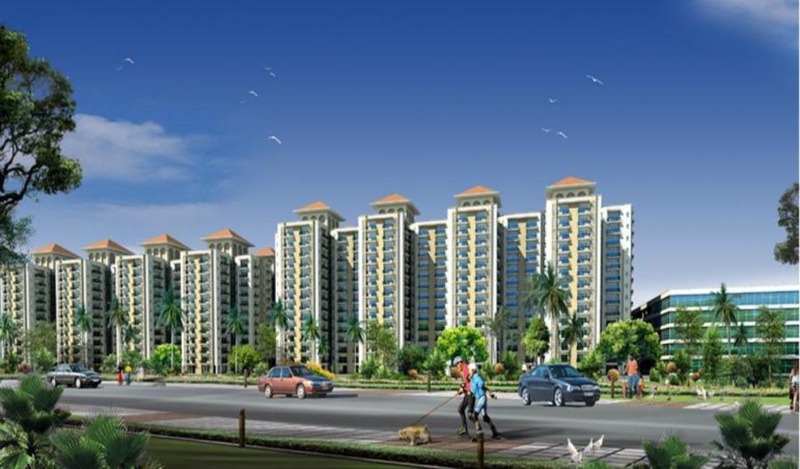 Ansal API has launched projects in Lucknow, Agra, Jaipur, Mohali and other small cities like Sonipat and Panipat. "A majority of our projects today are outside of the metro cities," he adds. Local developers from these cities too are scaling up, looking at the big demand and new competition. Almost 80-90% of the new supply that is expected to hit these markets will come from these local developers, who understand the market better. Among the top 10 tier II cities, Surat, Bhopal and Jaipur are expected to get 38% of the new homes.